Today Microsoft revealed the Xbox One, and confirmed rumors that its new game console is ready to take over as the heart of your home theater. The new box features HDMI in and out for passthrough with your cable or satellite box. It's even able to control connected devices with Kinect 2.0-detected voice and gesture commands thanks to IR blasters and HDMI-CEC. On stage, executives showed off the Xbox OneGuide, demonstrating a way to pull up information including trending programming or fantasy sports stats while watching live TV. There's also a live TV show for Halo in the works, and Microsoft brought NFL commissioner Roger Goodell on stage to talk about integration with the number one pro sports league. There's no word on exactly which cable, telco or satellite TV systems this will integrate with, but Microsoft's PR states it "is committed to bringing live TV through various solutions to all the markets where Xbox One will be available" and mentions HDMI is required for the feature to work. It's supposed to be available at launch in the US, with "global scale" anticipated over time. Check after the break for a few pics of the guide and the back of the Xbox One showing its IR output. REDMOND, Wash. - May 21, 2013 - A new vision for the future comes to life today as Microsoft Corp. unveils Xbox One , the all-in-one gaming and entertainment system created for today and the next generation. At Microsoft headquarters in Redmond, Wash., the company showcased how Xbox One puts you at the center of all your games, TV, movies, music, sports and Skype. "Xbox One is designed to deliver a whole new generation of blockbuster games, television and entertainment in a powerful, all-in-one device," said Don Mattrick, president, Interactive Entertainment Business at Microsoft. "Our unique, modern architecture brings simplicity to the living room and, for the first time ever, the ability to instantly switch across your games and entertainment." • Home. Turn on your entertainment system with two powerful words, "Xbox On," and a custom-tailored Home dashboard welcomes you with your favorite games, TV and entertainment. • Snap. Do two things at once on the biggest screen in your home. Use Snap to jump into a multiplayer battle while watching your favorite movie, talk with friends on Skype while watching live TV, or track your fantasy team on TV as you watch the big game and more. • Skype for Xbox One. Specially designed for Xbox One, talk with friends on your TV in stunning HD, or for the first time ever, hold group Skype calls on your TV. • Trending. Stay on top of what is hot on TV by discovering the entertainment that is popular among your friends, and see what is trending within the Xbox community. • OneGuide.,  Find your favorite entertainment easily, searching by network, name or time, all with the sound of your voice and presented in a tailored program guide. • "Forza Motorsport 5" from Turn 10 Studios is the latest edition of the highest-rated racing franchise of the past 10 years. Built from the ground up to take advantage of Xbox One and the infinite power of the cloud, no game better delivers the sensation of being behind the wheel. "Forza Motorsport 5" sets a new bar for racing games and will be available exclusively for Xbox One at launch. • "Call of Duty: Ghosts" is the next generation of "Call of Duty" and a stunning leap forward for the franchise. It delivers an all-new world, an all-new cast of characters and an all-new story, built on a new, next-generation engine. The next-generation technical innovations built to support the incredible gameplay advancements make this the most beautiful and immersive "Call of Duty" experience yet. Activision and Microsoft also announced the renewal of their close partnership that will see both the return of the "Call of Duty® Championship," presented by Xbox, as well as all-new downloadable content debuting first and exclusively on the Xbox platform. • "FIFA 14," "Madden NFL 25," "NBA LIVE 14," and "EA SPORTS UFC" from EA SPORTS will change the way consumers experience and play sports games. Driven by the new EA SPORTS Ignite engine, these new EA SPORTS games will deliver massive innovations in human intelligence, true player motion and living worlds. Adding to its commitment to Xbox One, EA SPORTS also announced the promise of exclusive content to be revealed in the coming months. • "Quantum Break" from Remedy Entertainment is a revolutionary entertainment experience from the creators of "Max Payne" and "Alan Wake" that blurs the line between gaming and TV by integrating drama and gameplay into one seamless, uniquely immersive experience. How you play the game impacts the show, and the show informs how you play the game. In addition to the amazing lineup of games coming to Xbox One, Microsoft unveiled exclusive content partnerships with some of the top names in TV, sports and entertainment. • "Halo" television series. Award-winning filmmaker, director and producer, Steven Spielberg will executive-produce an original "Halo" live-action television series with exclusive interactive Xbox One content, created in partnership with 343 Industries and Xbox Entertainment Studios. • National Football League (NFL). A multiyear, landmark partnership will deliver the ultimate interactive NFL television experiences for the next-generation Xbox One and leverage Microsoft devices and services to evolve both in-game and on the sideline. The NFL on Xbox will redefine broadcast experiences through innovations around Skype, Xbox SmartGlass and player-worn technology; add an all-new fantasy football solution for the biggest screen in the house; and create a personalized NFL destination only available on Xbox One. Xbox One is built to amplify an all-new generation of Xbox Live that is more powerful, more personal and more intelligent. Unleashing the virtually unlimited power of the cloud makes everything more convenient and accessible, from allowing games to be installed in segments so that gameplay can start quickly to updates downloading in the background. Save and store your personalized profile, games and entertainment in the cloud to access them anytime, from any Xbox One console. In addition, existing Xbox Live Gold Membership for Xbox 360 will seamlessly carry over to Xbox One. Xbox Live takes you deeper into the games you love with all-new features. • Smart Match. A new Smart Match matchmaking system virtually eliminates waiting in lobbies by estimating wait times and finding people you want to play with while you are enjoying other activities - reputation fundamentally matters and helps find best matches. • Game DVR. 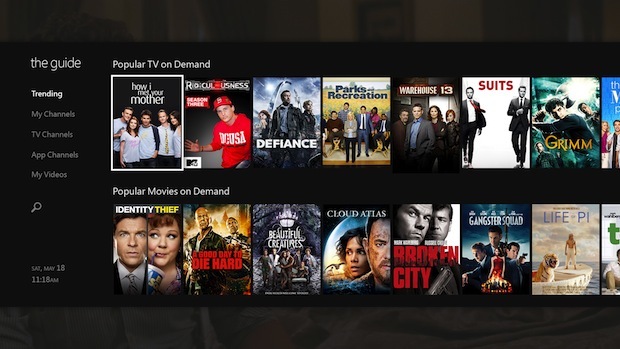 A dedicated Game DVR captures and accesses your magic moments, all saved to the cloud. Along with sharing tools, you will have the most amazing bragging rights with Xbox Live. • Living Games. Dynamic, living worlds evolve and improve the more you play, and advanced artificial intelligence can learn to play like you, so friends can play against your shadow. • Expanded achievements. A new and expanded achievements system captures video of your epic moments, continues to grow a game's achievements over time and rewards you in new ways, and your Gamerscore carries over from Xbox 360. 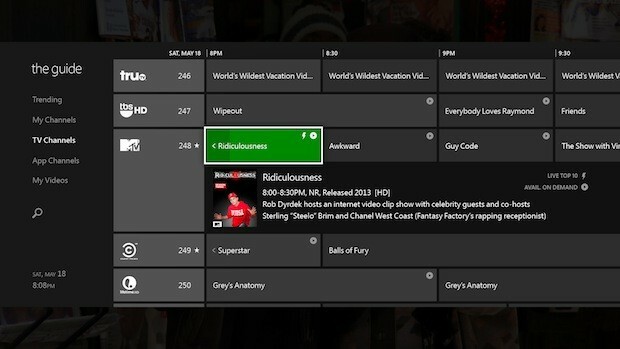 • Xbox SmartGlass. Xbox SmartGlass is natively part of the Xbox One platform, built in from the beginning with the ability to quickly render content directly onto your device, and now more devices can connect at one time for multiplayer and shared entertainment. 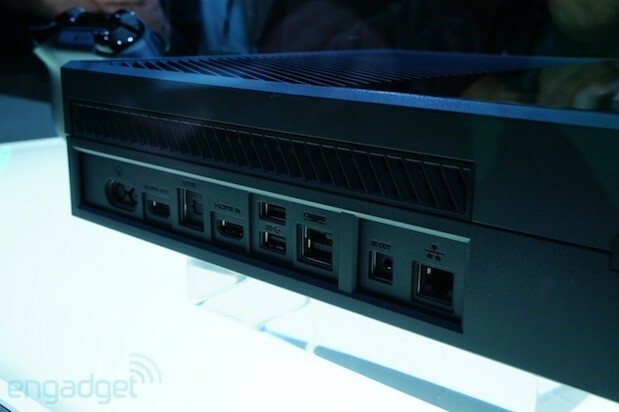 New Xbox One hardware is sleek and modern and complements any décor. The console is shaped in the 16:9 aspect ratio and employs a horizontal orientation optimized for its high-speed Blu-ray™ disc player. It is molded in a deep and rich liquid black color and includes a distinctive beveled edge. The class-leading Xbox controller is refreshed with more than 40 technical and design innovations. Updated directional pad, thumb stick and ergonomic fit immerse all gamers in ways that are uniquely Xbox, and precision and control have been dramatically increased with all new vibrating impulse triggers.6 The Xbox One Wireless Controller is designed to work in concert with the new Kinect, allowing the two to be paired automatically to create seamless player syncing. Xbox One will launch in markets around the world later this year. Visit the new Xbox Wire blog at http://news.xbox.com for in-depth features on the new system, including photos and videos from the unveiling event and new and rotating content from Xbox. More details about Xbox One and blockbuster games will be explored at the Electronic Entertainment Expo in June. 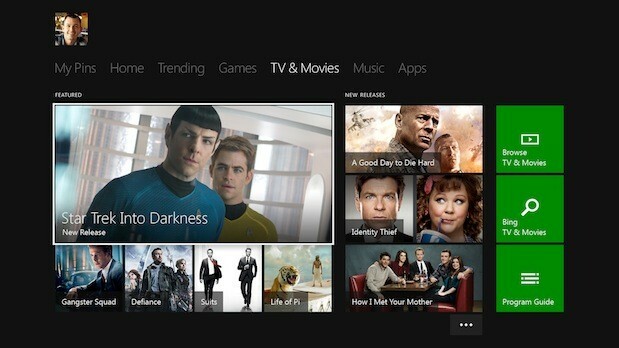 Xbox is Microsoft's premier entertainment brand for the TV, phone, PC and tablet. In living rooms or on the go, Xbox is home to the best and broadest games, as well as one of the world's largest libraries of movies, TV, music, and sports. Your favorite games, TV and entertainment come to life in new ways through the power of Kinect, Xbox SmartGlass, and Xbox Live, the world's premier social entertainment network. More information about Xbox can be found online at http://www.xbox.com. Features and requirements are under development and may change prior to release. Available features and content may vary by country. Broadband Internet (ISP fees apply) and advanced TV hardware required. Games and media content sold separately. Xbox Live Gold Membership, paid subscription and other requirements apply for some Xbox Live features. 1 Live TV with Kinect navigation, Live TV with Foo Guide, Trending, and NFL on Xbox available in U.S. at launch; anticipating global scale over time. 2 Kinect voice functionality only available in supported locales and languages. 3 At launch, Live TV will require a supported receiver device with HDMI output (sold separately). 4 Subject to geographical content restrictions. 5 Some Xbox Live content and features available on Xbox 360, including avatar content and some apps, are not available with Xbox Live on Xbox Foo.